Create personalised mugs by printing your very own photos and designs on them. Custom mugs are great for sending a message while you enjoy your morning coffee or as a personal gift. 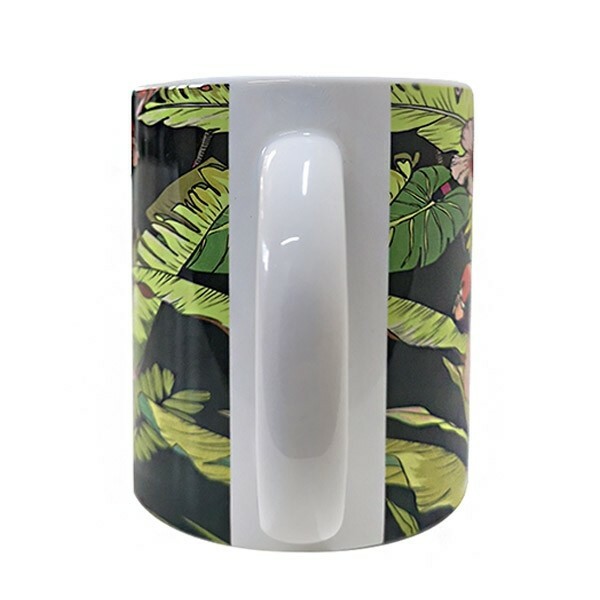 Designing this 11 oz (325ml) personalised mug is incredibly easy to design and only takes a few minutes before you have yourself an amazing mug. A mug is a pretty simple item. It holds coffee or tea and keeps your drinks somewhat insulated. Outside of any major innovations, it's not going to change very much. What you can change however is what message your mugs bring across, because we all know that our favourite mugs say a lot about us. Are you a “World’s Best Dad,” do you “Keep Calm and Carry On,” or should your mug carry a warning to not mess with you until you’ve had your coffee? It’s your personalised mug, it's your statement to make. 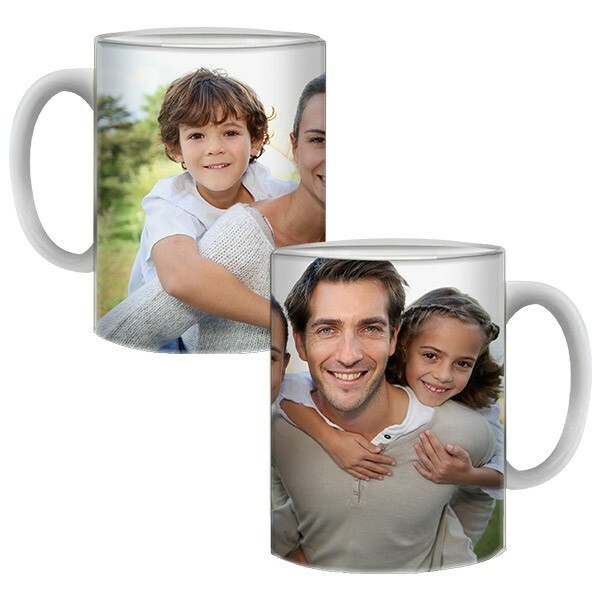 Create a photo mug or custom mug with text for yourself or as a great gift. Start designing your personalised mugs now. There is no need to be a graphic designer to make a great personalised mug. Our specially made Customizer makes it so easy, you can create designs in just a few steps and in as little as five minutes. Simply upload your photos or designs using your laptop, cell phone, or even through your social media accounts. Resize or rotate the image to make it fit perfectly and then add any texts, emojis or logo as a finishing touch. If you find yourself lacking ideas, you can also use some designs we have provided in our collection. Once you’ve finalized your design, check out and we’ll take over. 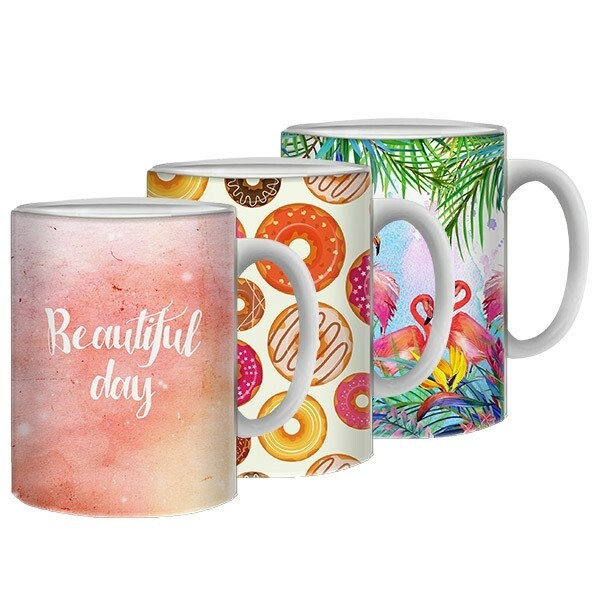 With your order submitted, it is now time for our production team to get to work turning your great idea into a personalized mug. Quality printing is what we do so we will check for any imperfections, and if we find any we won’t hesitate to print another mug properly. Once we are sure the print is perfect, we will box it up and send it to you. Double check your design and shipping information before checking out so you can make sure you get the best product without any delays. 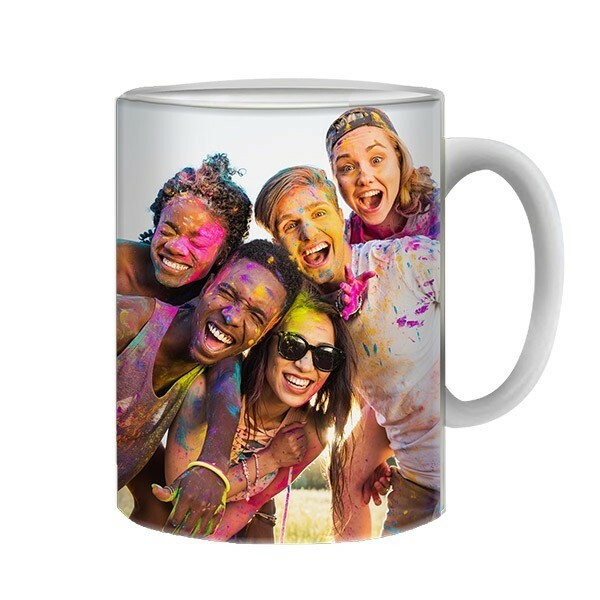 Start creating your personalised mugs today!